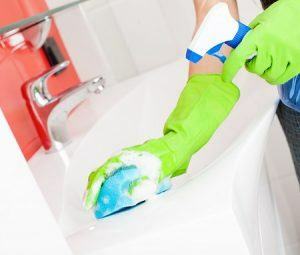 Why choose our domestic cleaning in Balham? We are a professional cleaning company with long history in the field. Delivering the best services you can ask for. We specialise in various cleaning jobs that you can all too well take advantage from. With us on your side, you will find that cleaning is no longer a bothersome chore, but something you can leave to professionals. Our domestic cleaners are all perfectly trained and capable of handling whatever cleaning challenge you have. You should hire us because we know how to clean well and we are a single phone call on 020 3322 8143 away. Acquire the aid London’s top domestic cleaners now! You can rely on our company for a one-off cleaning service or regular visits by our professionals. By choosing the latter option, you can be sure that we will eliminate a lot of stress and effort on your side. You know how cleaning your home in Balham can be, so why not book the experts on the case? All of our cleaners are fully vetted and trained in various methods to provide the best cleaning outcome. We guarantee that with us on the job, you won’t ever think cleaning is that difficult. What is up in Balham, SW12? The district of Balham occupies part of the London Borough of Wandsworth, in the south part of the capital. The initial name of the settlement, recorded in the Domesday Book is Belgeham. The neighbourhood is entirely within the SW12 postcode area, which also includes Clapham South – the southern area of Clapham Park. The area features numerous bars, major chain shops, restaurants, coffee houses and independent shops. Perhaps the most famous landmark in the area is The Bedford pub, which has a very specific architectural style and famous performers. Ove the years, this pub has won several awards. Balham has been a test area for UK’s very first diagonal X crossing for pedestrians. It pioneered on the intersection of Balham Station Road, Balham High Road and Chestnut Grove. Additionally, the world’s first intelligent pedestrian crossings have trialled at Balham station. 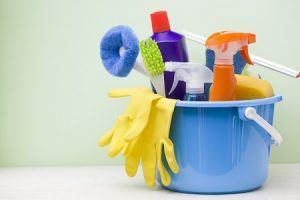 Out domestic cleaning in Balham is the best choice you can make for your cleaning needs. Give us a call today on 020 3322 8143.